The weather here in London has been a little bit glorious these past few days. 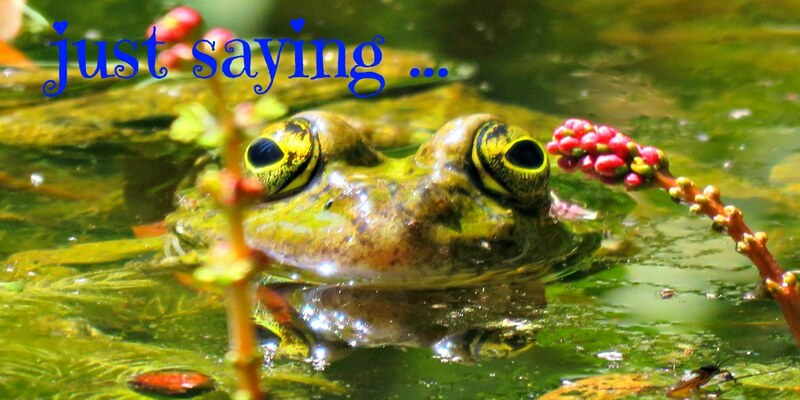 Sadly it's not set to last into the weekend, so we'd best make the most of it while it's here. The Wonder Dog and I decamp to the garden when the sun shines. We set up shop on the terrace just outside the kitchen where we spread out our work in the shade of a parasol and enjoy the good times. Yesterday morning it was so lovely that I was inspired to chase around for the last of the summer flowers to press. There's not a lot happening in my little back garden right now. We've been away all summer and it's looking a bit lacklustre and neglected, but I still managed to find a few colourful blooms to add colour to some handmade cards. My flower presses are contraptions that I've made myself. 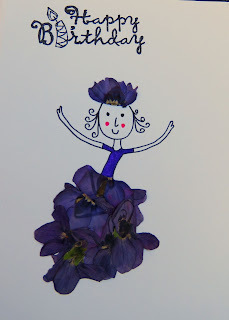 You can check out my how-to-make-a-flower-press post by clicking on the link. 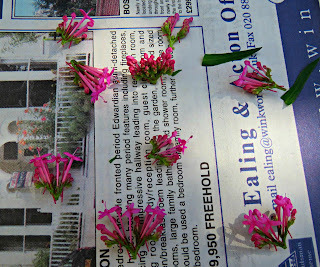 And here's a close-up of the flowers that I pressed. There's nothing very rare or unusual in my collection. They're mostly geraniums of one type or another. 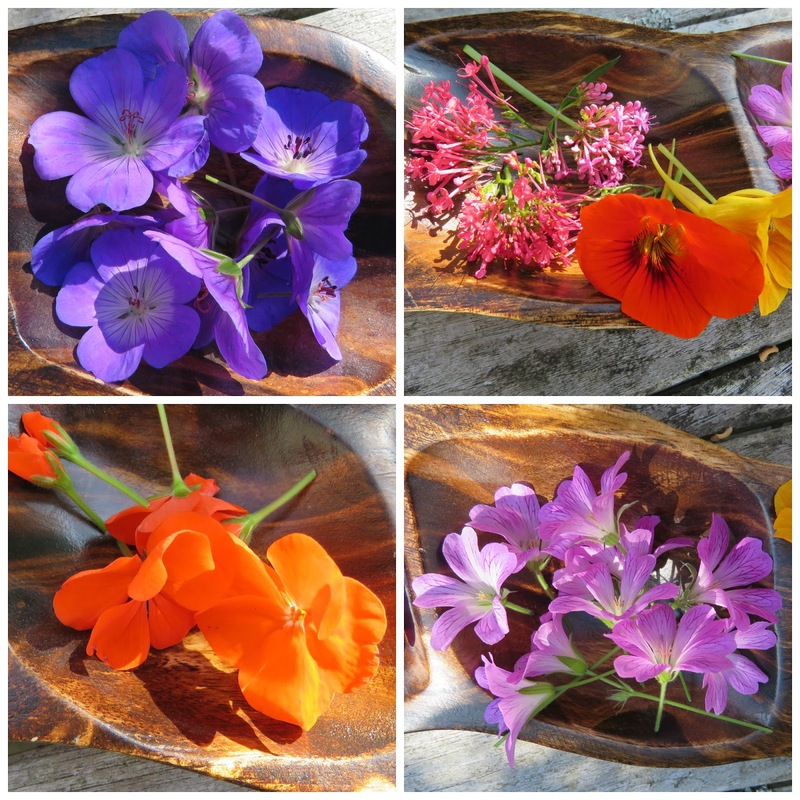 I'd cut them back in early August when they'd all started to look a bit tired, with the result that they regenerated and treated me to another round of flowers. 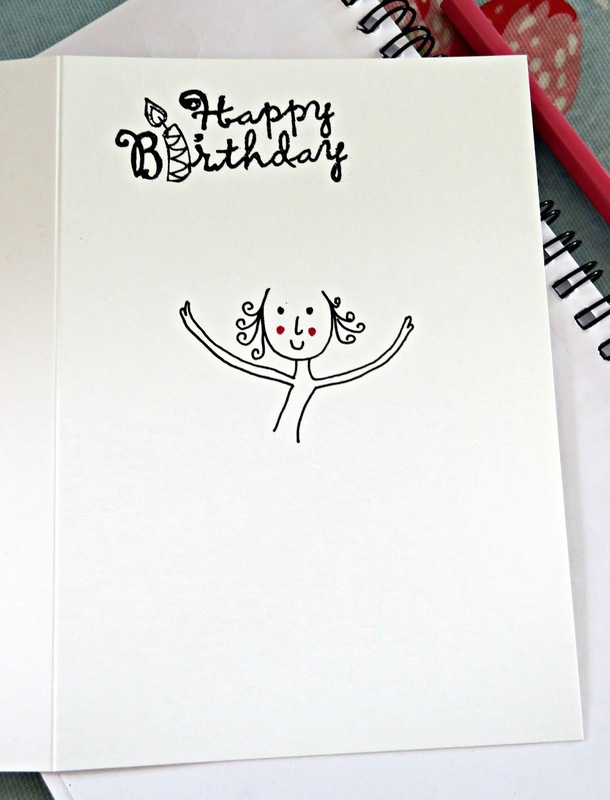 I like to use smaller flowers, which lend themselves more easily to elements of my design on a card-sized format. With large composite flowers, where the flowerhead is composed of a number of flowerets, I often snip off the flowerets and press them separately. This produces more usable components, which are easier to press as they don't have the same bulk as the original flowerhead. ... was snipped up like this for pressing. 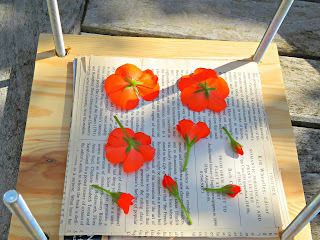 I was also careful to lay out the geraniums so that they would press with all their petals open. The best way to do this is to place them face-down on the paper, making sure that none of the petals are bent and then cut off the stem. For variety I add a few in bud, and a few that are not totally open, which can be pressed from the side. 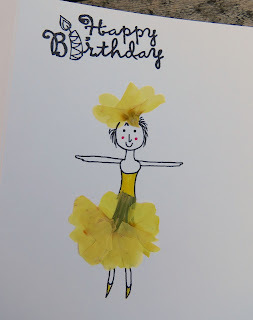 After I'd got them all safely padded and swaddled with newspaper and cardboard and I'd closed the pressure down on them with the flower press I started work on a couple of birthday cards. 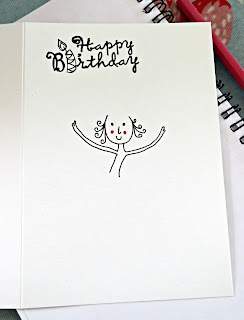 I started off with a bit of a doodle on a card that I'd stamped with Happy Birthday! 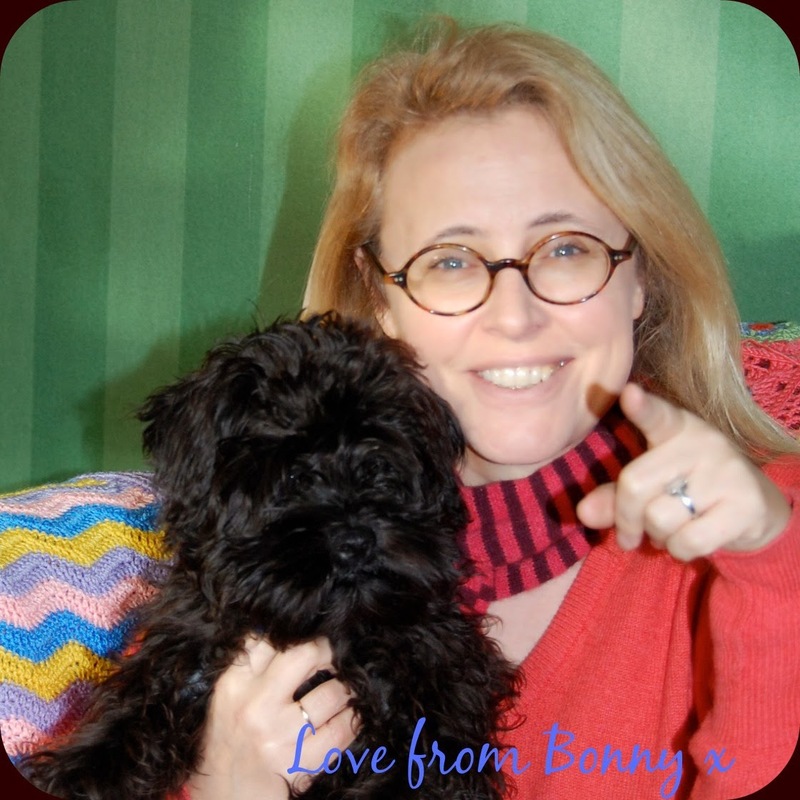 And then I made her a little friend for company. It's amazing how much fun you can have with a few pressed flower petals and some clear-drying glue! I've never really pressed flowers before but I just love what you created with yours. Super cute.